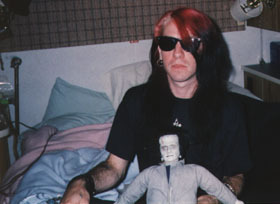 This is Rozz & my Frankenstein doll Boris. He was the tour mascot for Shadow Project's last tour and Daucus Karota's only German tour. Taken in '93 in the tour RV. This was the last show of the '93 German tour. City of Giessen. 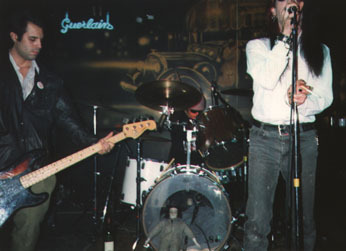 Mark on bass, Christian on drums, and Rozz. 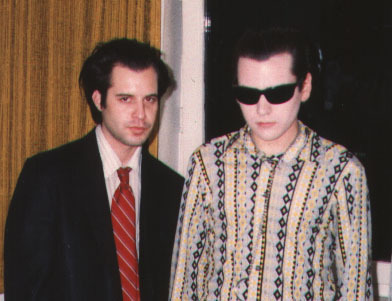 Our hotel room before a show in Germany, '93. Picture by Jennifer, a friend from Irvine who was visiting at the time. Germany, Shadow Project tour '91. 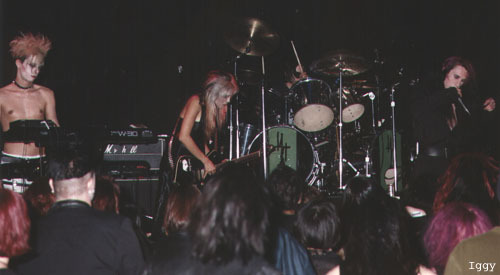 Jill was the band's original and best bass player. Santa Clarita, the third show on the Dreams for the Dying U.S. tour in '93. 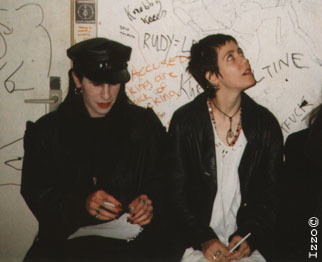 Paris - keyboards, Eva O - guitar, Christian - drums, Rozz - vocals, and Mark was in there somewhere playing bass. Photo by Iggy.